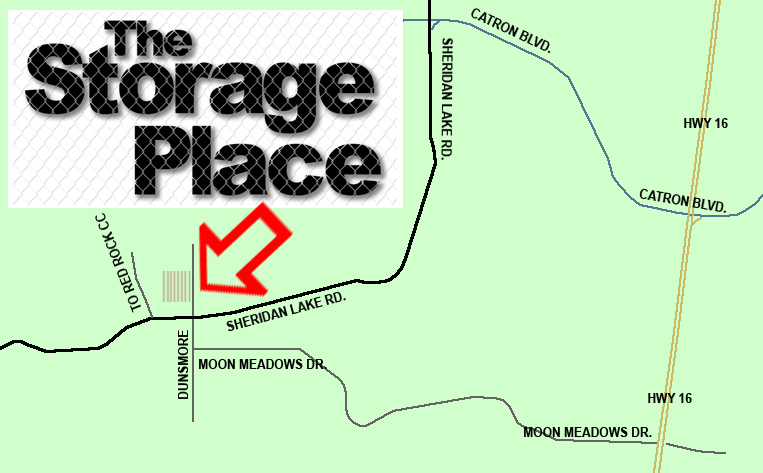 The Storage Place is located on the southwest side of Rapid City, at the corner of Sheridan Lake Road and Dunsmore Road. We are near Red Rocks, Countryside North, Countryside South, Moon Meadows, Colonial Pine Hills, Wildwood, and a bit over two miles south of the intersection of Catron Blvd. and Sheridan Lake Rd.